"With over 100 years of company history and long standing experience in vehicle seat construction RECARO knows how to make long journeys a pleasure for the whole family. Materials, design and technical highlights ensure a pleasant journey for adults and children alike." As your child grows – so do his or her demands. The RECARO High Back Booster Vivo not only looks good, it also offers excellent side impact protection for your child due to its extra large head and side wings and fully adjustable headrest. In addition, it is equipped with a convenient carrying handle and can be easily transported between vehicles. The Vivo Microfiber, the comfortable padding, its adjustable backrest and integrated armrests add fun. 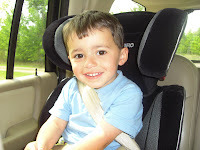 I was very excited to say the least when I was able to review RECARO Vivo car seat for my son Bryce. Not only because I was in the need of a new car seat but because of RECARO's design and safety features of the Vivo. The Vivo also will probably be the last seat we own, with a weight range of 30-100 lbs and maximum height of 59 inches (approximately ages 3-12). This seat will be able to grow with Bryce. It is also very easy to move car to car if needed. He is seating up higher and has a great view out the window. The generous padding seems very comfortable, especially when we take a longer trip. Each RECARO child restraint system is designed and engineered to provide optimum safety and protection in the event of a life threatening accident. The RECARO Side Impact Protection system with its extra large side wings, correctly shaped headrest and comfortable padding provides an additional peace-of-mind when your child may need it most. Recaro has offered one of my readers a chance to win a Vivo Lite, structurally the Vivo and the Vivo Lite are the same seat, the only difference is the cover material. The Vivo comes with a microfiber cover or microfiber with soft mesh inserts and the Vivo lite in a breathable fabric / mesh inserts combination. A Recaro Vivo Lite ! I learned this fact at the Recaro website: "RECARO is focused on providing ultimate safety based on over 30 years of motorsports experience by incorporating side-impact-protection (also known as SIP) in their car seats, making your children less susceptible to injury in the event of most any kind of collision." Recaro also makes seats for racing cars. RECARO introduced the first seat with integrated seatbelt! The Recaro has energy absorbing head wings. They Introduced one of the first racing shell with head protection. Also RECARO is founded by the master saddler Wilhelm Reutter in Germany. 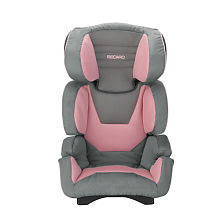 Recaro also makes convertible seats for infants and sells additional accessories like a footrest for the seats. I am so excited about this Giveaway!!!!! Recaro makes WONDERFUL Car Seats and is a Name Trusted in the car Seat industry!!! YAY! You Bet, your Button is Alway on my Blog! Only at RECARO are all child seats treated like car seats and tested in accordance with the stringent requirements of the automotive industry. You can also buy Recaro car seats at Babies R Us. RECARO was founded by the master saddler Wilhelm Reutter in Germany! Also, there are NINE retailers within 30 minutes of my home where I can buy a Recaro carseat. 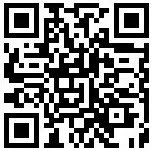 The retailer AND online store locater is on their site. jessy1219 is #41 the product is great. In 1971 Recaro introduced the first seat with an integrated seatbelt. In 1971 RECARO introduced the first seat with integrated seatbelt! Recaro makes footrests for the seats!! That is the coolest. With over 100 years of company history and long standing experience in vehicle seat construction - from the tailor-made racing shell to the stock seats for renowned vehicle manufacturers - RECARO knows how to make long journeys a pleasure for the whole family. Materials, design, and technical highlights ensure a pleasant journey for adults and children alike. What's more, our youngest passengers are sitting in a genuine "RECARO" - just like real racing drivers. In 1996, RECARO introduced the first racing shell with head protection. In 1906, when Recaro was founded, it was initially a body factory, which produced bodies for cars like the Porsche 356, VW Beetle and BMW 328! They started making children's seats in 2005. Over at the site, I learned that 1 in 4 accidents resulting in injury/death of a child are caused by side-impact collisions. This is why the extra large side wings on the seat are so important! They make seats for racing cars! How fun! 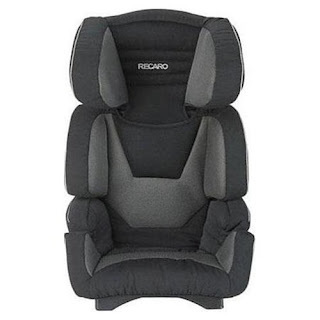 In 2005 RECARO decided to move beyond automotive OEM seating, automotive Aftermarket seating, and Motorsports seating into the market of Child restraints for the United States. The RECARO Start seat is the only seat that has integrated loudspeakers ~ pretty cool. RECARO is founded by the master saddler Wilhelm Reutter in Germany. I read that you can buy Recaro at Amazon.com! Oooooh I love this Recaro Car Seat! Thank you so Much Recaro and Susan for Sponsoring this FABU Giveaway! I really like these car seats. Just read that they sell footrests for the seats. A fact: You can also buy Recaro car seats at Babies-R-Us. Thanks! In 2005, RECARO decided to move beyond automotive OEM seating, automotive Aftermarket seating, and Motorsports seating into the market of Child restraints for the United States! I did not know until I read their website that 1 in 4 accidents resulting in the injury or death of a child are caused by side impact collisions. Recaro makes car seats for the expensive car lines. They carry these at babies r us! Babies R Us carries RECARO carseats. These look amazing, cute, safe, and high quality. Thanks so much! They used to make automotive OEM seating, automotive Aftermarket seating, and Motorsports seating. "Convertible seats normally have a minimum rear-facing weight requirement of 5 lbs. and a minimum forward-facing weight requirement of 20 lbs. Maximum weight limits range from 40 to 65 lbs; however RECARO products have a maximum weight limit of 70 lbs." Like the SIP system - the side impact protection with energy absorbing sections that help in case of accident or sudden stops. Could use this - my daughter is getting ready to move up into a big girl seat. you can purchase them at Babies are Us! I think the reviewer failed to tell us that a variety of colors are available in those carseats for older children! I think the carbon would show dirt less easily for boy or girl and would fit well into Grandma's car! RECARO is founded by the master saddler Wilhelm Reutter in Germany back in 1906. * Convertible seats normally have a minimum rear-facing weight requirement of 5 lbs. and a minimum forward-facing weight requirement of 20 lbs. Maximum weight limits range from 40 to 65 lbs; however RECARO products have a maximum weight limit of 70 lbs. I saw that the signo and the como can hold a child up to 8 years old. wow! 1 in 4 accidents resulting in the injury or death of a child are caused by side impact collisions. Oh I love you Recaro!!!! They make a racing car seat!! Very neat. Thanks for the chance. They also make seats for racing cars! In 1906 Recaro was founded by Wilhelm Reutter in Germany. It has a tailor-made racing shell.